New here and looking forward to learning from all of you. 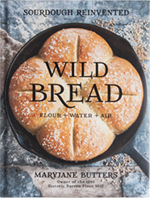 I tried wild yeast a few years ago and failed terribly, but after reading MaryJane�s book Wild Bread, I�m going to try again using her methods and start my own mother. Mine mother took a while to mature (more like a couple months), but I kept going and now I am making beautiful breads every week! Posting on here (my fails and successes) sure helped keep my moral up, Ashley and MaryJane are always here to offer encouraging words! Hi Sharon, and welcome! 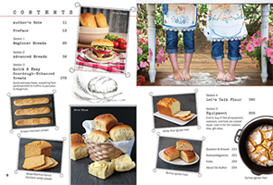 Have you decided which flour you're going to use? Warmth is always a benefit for cultivating a wild-yeast mother! I'm hoping that your mother will flourish, and looking forward to hearing more from you. Hello to all, I've baked with sourdough before and even caught wild yeast, but I'm looking forward to learning more about wild bread.